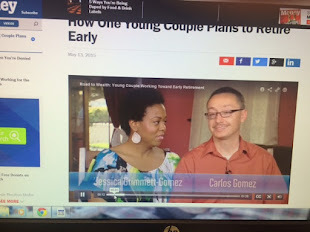 Common Core Money: Financial Literacy & Success Inspiration: Is Rosarito Condo Living Right For You? 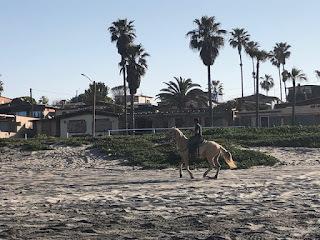 Is Rosarito Condo Living Right For You? It's windy and overcast today in Rosarito, Baja California. The mercury is slated to reach only a high of 63. Yesterday however was an incredibly gorgeous day, sunny and warm enough to wear a polo shirt over a white cotton t-shirt. Of course if you're not from Southern California, say somewhere colder, you'd probably be walking around in shorts and a tank-top. 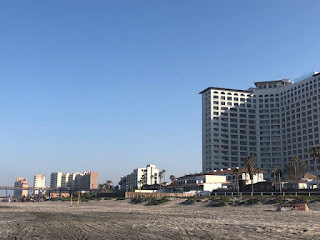 My family decided in early February to take a 3 day vacation in Rosarito, using AirBnB.com to book a two bedroom condo in the heart of the city. We're staying two blocks away from the famous Papas & Beer restaurant and Spring breaker club central in a condominium tower called, La Jolla de Rosarito. Because it's the last week in March, there is still not a whole lot of young (American) people everywhere. So we get to see Rosarito as it would be seen "off-season." That's not to say we haven't encountered Americans. 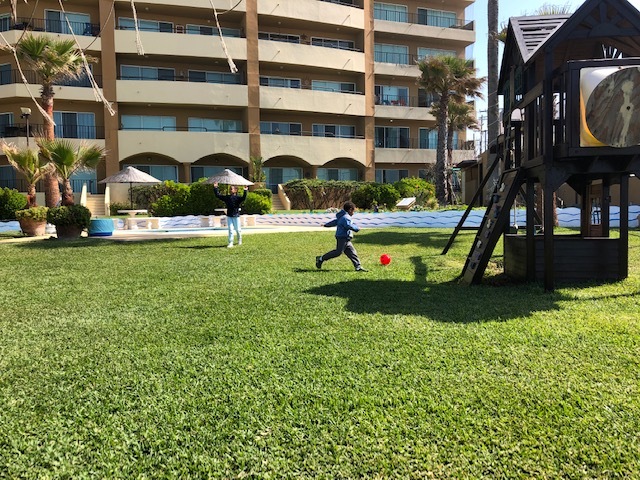 Kids kicking around a ball we brought from home. Indeed, other than the security guard, the cleaning crew, and landscapers, we haven't seen Mexicans who live in the building. So far, we've talked to two white women in their retirement years. One was walking her dog and mentioned having moved in a year ago. She said, "It was the best decision of my life." She used to reside in Point Loma, San Diego. The other lady had just come back from some shopping. Holding her bag, she said, "Kinda of cold today," as I walked my kids out of the building and down the walkway leading to the pools. 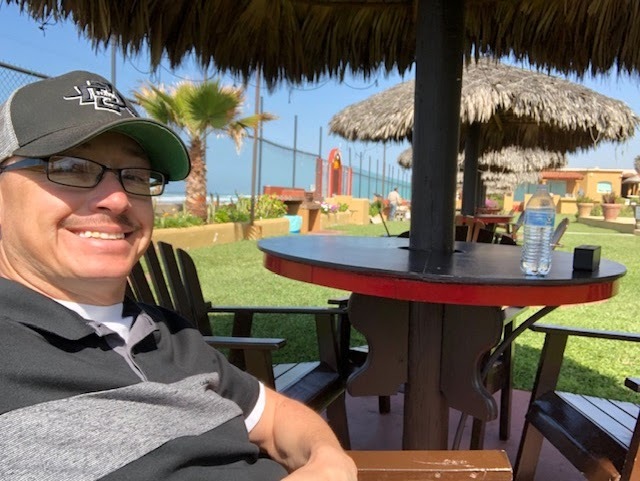 I wasn't going to stop people and interview them as they went about their day obviously, but I suspect Americans choose Mexico, and in particular, Rosarito, because of its affordability and proximity to the U.S. One of the most difficult decisions we, Americans, have to contend with is where to retire. What we have saved for retirement will have more pull as to where we can live out the rest of our days. Some people don't have enough to stay in the U.S. and afford everything they need. So they come to Mexico. But why Rosarito of all expat places? 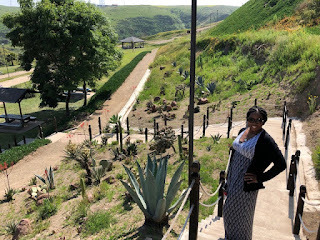 If you didn't get a chance to read my post on Ensenada, B.C., you should. Compared to Ensenada, I like Rosarito better. For one, you can get around a whole lot easier. Rosarito is not as densely populated and big as Ensenada. You can go North and South on the main boulevard (Benito Juarez) and find everything you need. Entering Rosarito (North) you'll find their Pabellon, or outdoor shopping mall. There's a Walmart, a Radio Shack, an Applebees, Peter Piper Pizza, representing American retail and eateries, and other high-end Mexican shops. We had to go to Walmart to shop for some breakfast food and it was no different than in the U.S., unfortunately, long slow lines. Self-checkout is still faster (if you're not buying alcohol...hehehe!). 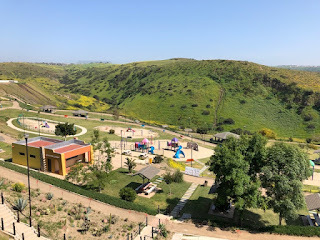 With kids, my wife and I decided to look for some outdoor fun that didn't include the beach or common grounds behind the towers. Being gated and fenced in, there's only so far kids can venture. Luckily, Rosarito offers a spectacular outdoor park experience in the form of Parque Metropolitano. If you don't mind driving east of the main boulevard, up the hills and through the colonias (neighborhoods), you will come to a pristine and picturesque canyon zone that just happens to have the best park in Baja CA North. Being a weekday when we drove to the top, and kids still being in school in Mexico, the park was empty. If you enjoy hiking or walking trails, this is the spot! The wife posing for a shot. So far we've eaten out for lunch (Tacos El Yaqui) and ordered pizza for dinner (D'Angelos Pizza) for less than $40. We intend on going out for dinner at Patagonia (an Argentinian steakhouse). I literally came south with $200 in my wallet and I still have $140 left after two days. Rosarito has an array of diverse cuisine all for less than what you pay in the states. There are Japanese, Chinese, Italian, American, Mexican, Argentinian, Colombian, and I'm sure many other types of food places here along the boulevard. You could cook at home, but why? One of the biggest questions people ask about Mexico is: Is it safe? I've seen the Marines only once, when we drove in. I've mostly witnessed Police doing their day to day work. We never felt at risk or in danger. Indeed, while eating at Tacos El Yaqui, there were some American teens eating at the table next to us, complaining about their parents. My wife and I couldn't help but smile about their teen problems. That's not to say that you should be oblivious. 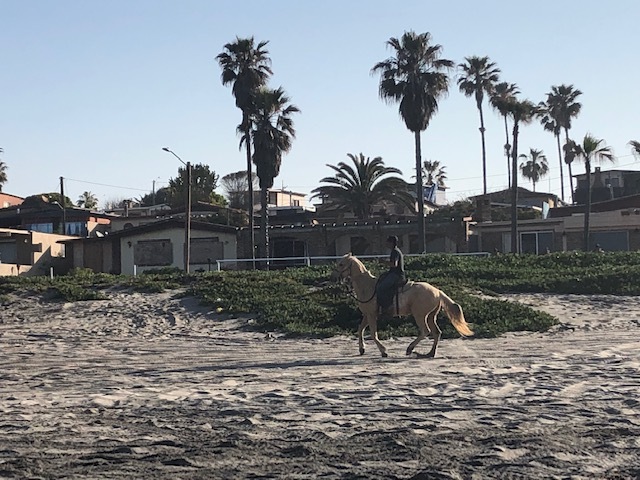 Like anywhere else in the world, follow the rules, don't show off your wealth, and try to blend in as just another expat if you visit Rosarito. If you intend on driving around, remember the streets can get rugged, cars don't have to be smogged so there will be exhaust smell from time to time, especially if there's no wind, and don't expect cars to do full stops at stop signs. Street names aren't always visible or even where you'd expect them. Use your navigation system! By the way, if you're worried about not knowing the language, don't be. In these frequently tourist visited establishments, the service speaks English. My wife is African-American, and instinctively they tried to take her order in English. I intervened of course and ordered for her in Spanish. (There was a long line behind us). We have very much enjoyed condo living in Rosarito. 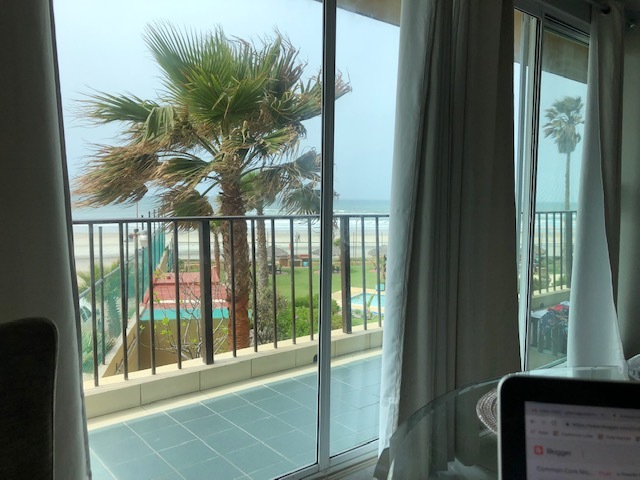 My wife and I are considering buying a condo here in the future, as a getaway from the hustle and stress of the U.S. Mexico isn't for everyone, but maybe after reading this post you'll consider it some more. Thanks for reading!